Long recognised as one of the most arduous tasks a British politician can face, responding to the Budget is a tough gig for the Leader of the Opposition at the best of times. Deprived of an advance copy of the Chancellor’s statement, little can be done in the way of preparation. For the interim Opposition Leader Harriet Harman, yesterday’s gig was even tougher than usual when George Osborne shamelessly stole Labour’s clothes with his living wage announcement. Hit by this bombshell, the stand-in’s approach was to try a little stand-up. 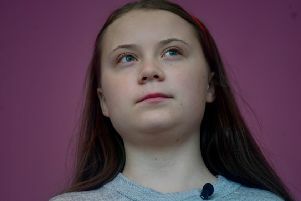 Mocking the government’s plans to devolve more powers to the great English cities of the north, she said the cancellation of railway projects meant the “great northern powerhouse” was starting to look like the “great northern power cut”. “When it comes to the railways perhaps we’ve got the wrong sort of government on the track,” she said, punningly. But any comic effect her lines might have had was then offset by her list of affected projects. What about the electrification of the Manchester-Leeds TransPennine service? Or the electrification of the Midland main line? It sounded as if she was doing a bit of trainspotting – sadly nothing to do with the racy Irvine Welsh novel. This was trainspotting in the purest sense of the term. Earlier Osborne had made every effort to portray himself as a visionary Chancellor who would redefine how the British state worked. But his attempts to rebrand himself as unifying figure who was trying to raise wages while cutting taxes was not helped when he was unable resist sneering at his vanquished opponents. As he announced inheritance tax breaks, he looked over at the Labour benches. It did not go down well – the Nationalists’ Treasury spokesman Stewart Hosie scolded Osborne, saying he had “got his tone completely wrong” to suggest that only right-wing politicians wanted to pass on wealth to their children. Osborne had managed to reinforce his opponents’ view that he is a Machiavellian politician, who had just pitched his Tory tent on Labour’s campsite.